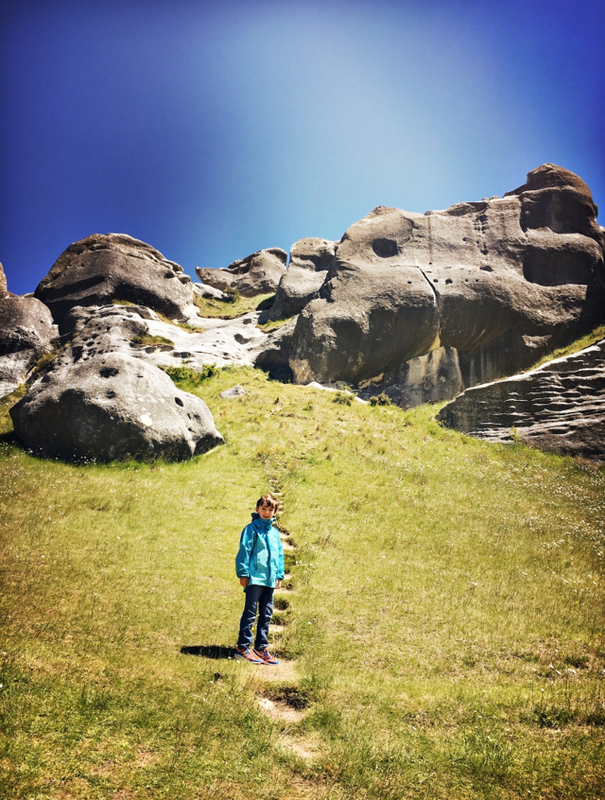 On our drive back east from Greymouth we stopped at a natural rock formation called the Castle Rocks. They were massive limestone rocks perched up on a grassy hillside. Some of them were cave like, some of them looked like animals or faces. Some seemed intentional but really it was just the wind cutting into the limestone to create interesting texture and shape. We scrambled up a path to get a closer look and then baa'd at the sheep in our return to the car. 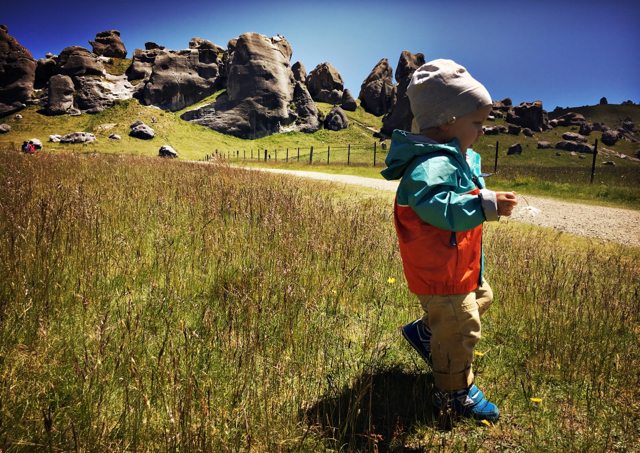 It was the perfect way to stretch our legs before getting back in the car for the final push back to Christchurch.